If your Harley is equipped with a TSSM (Security), you will be able to enable and disable security alarm and immobilization functions with a remote, personally carried transmitter. This transmitter is referred to as a key FOB. If your Harley key FOB is ever lost, damaged, or stolen, you can easily assign a new key FOB to your Harley. It is also possible to have two FOBs assigned at once. Bob demonstrates the assignment sequence in this video. The process is beyond simple. It is an excellent idea to have an extra FOB assigned for back up, but it is not completely necessary. It is necessary, however, to assign your own personal pin number to your motorcycle. If a code is not assigned or recorded and the Harley key FOB is lost or damaged while the vehicle is armed, the TSSM must be replaced. The TSSM code consists of five digits. Each digit can be any number from 1 to 9. The personal code must be used to disarm the security system in case the Harley key FOB becomes unavailable. 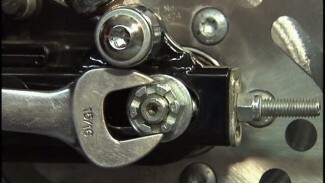 Harley uses the same five digit pin for all TSSM equipped motorcycles. This pin must be changed upon ownership to a personal code. Harley’s initial pin code number is, 3-1-3-1-3. 2- with an assigned FOB present, set engine stop switch to off. 8- enter 2nd digit w/ left turn signal button. So what are my options on my 08 street? It doesn’t have a button fob. Yeah, I lost it and I do not have the number for it. Does the whole alarm system have to be replaced? Hi, Ted. If you never set your own personal pin code; the default factory code should work. 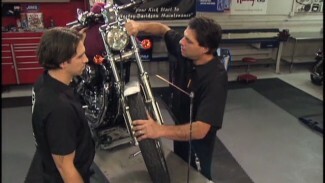 If the code was ever changed, it will not and you will have to bring m/c to the dealership. 1 Set Engine Stop Switch to OFF. 2 Turn Ignition Switch to IGNITION. 3 Hold both turn signals until confirmation. – – ” is displayed in the odometer. 4 Enter first digit of code (3) by pressing left turn switch 3 times. 5 Press right turn switch 1 time. left turn switch 1 time. 7 Press right turn switch 1 time. left turn switch 3 times. 9 Press right turn switch 1 time. 10 Enter fourth digit of code (1) by pressing left turn switch 1 time. 11 Press right turn switch 1 time. 12 Enter fifth digit of code (3) by pressing left turn switch 3 times. Security lamp stops blinking and the odo- System is disarmed. * This must be done within two seconds of turning the Ignition Switch to IGNITION. If system issues a warning before the security system flashes at a fast rate, then cycle Ignition Switch OFF until security key icon flashes at a 2.5 second rate before re-attempting. I have a 2011 Road Glide Ultra with 2 factory key fobs. I bought the bike new in 2011, the fobs have never been or dropped and I have changed the batteries almost every other year. This past December I tested my backup fob which worked in September now does not work, checked battery (2.9 volts), replaced with new and still did not work. Took h eboke to HD and they sold me a new fob saying the original was defective. Now it’s March, I rode with the remaining original fob last week and was fine, went to ride Thursday (3/30/17) and it did not work, checked battery (3.0 volts), replaced with new battery and still did not work. So the new replacement fob does still work, I ask the HD do the fobs have a life span? Told the service writer what was happening and he never heard of such an issue. I have always kept the fobs away from my cell phone and other key fobs (cars) as well portable electronics. No. We have nor heard of FOBs “going bad”. Most commonly, people install the batteries wrong or may experience RF interference. Make sure you try your in-op FOB in different locations. May be some type of interference in your garage? Also, make sure that your security antenna is in its OE location and that a metal base seat has not been installed. the Fob for my 2010 flhtk does not hav a button. Have one from the internet. haw do I program it to my bike? You can only assign a FOB to your bike with the dealership’s Digital Technician or at a shop that has the Centurion Super Pro software. Hi first time question, if the FOB becomes un-synced, how can you resync the FOB with the Harley if the battery and device itself are good? How do they differ from a rubber button FOB to a no button FOB? Hi Matthew. If your FOB does not have a rubber button, it can only be assigned to the bike at a dealership with the Digital Technician or at a shop that has the Centurion Super Pro software. The older, bikes/FOBs could be assigned by the owner.